All of my favorite things happen in October. My hometown has it’s Avocado Festival, pumpkin patches move in, all the best movies play on TV, the world series happens (still upset over the major Dodger loss!) and of course, Halloween. For as long as I can remember, Halloween has always been a big deal to me. I love the creepy, colorful, and creative things that go along with it. The seasonal stores pop up in old electronic stores and I just can’t help but walk through them several times throughout the month. I always have the hardest time deciding on a costume because my anxiety of “it only happens once a year! !” takes over and I can’t make up my mind. I still have a few different ideas I’m considering even though the 31st is right around the corner. I’ll get there. This really is amazing hummus. I make fresh hummus about 1 to 2 times per month, which always ends in a conversation with myself about how I should make more hummus. 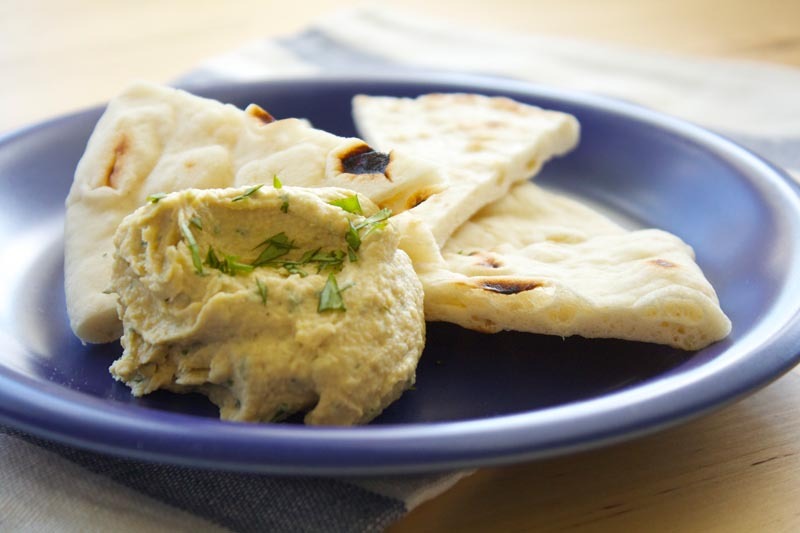 Especially since Deb Perlman wrote about the secret to the smoothest hummus you’ll taste. She recommends removing the skin from each chickpea. Yes, I said it too. Sounds crazy, but it only took me 7 minutes to peel them all and I would do it again. I’ve been converted to chickpea peeling and I’m never looking back. Peel your chickpeas. It’s easiest when you hold the chickpea between your thumb and finger and begin to lightly press down. Discard the skins. 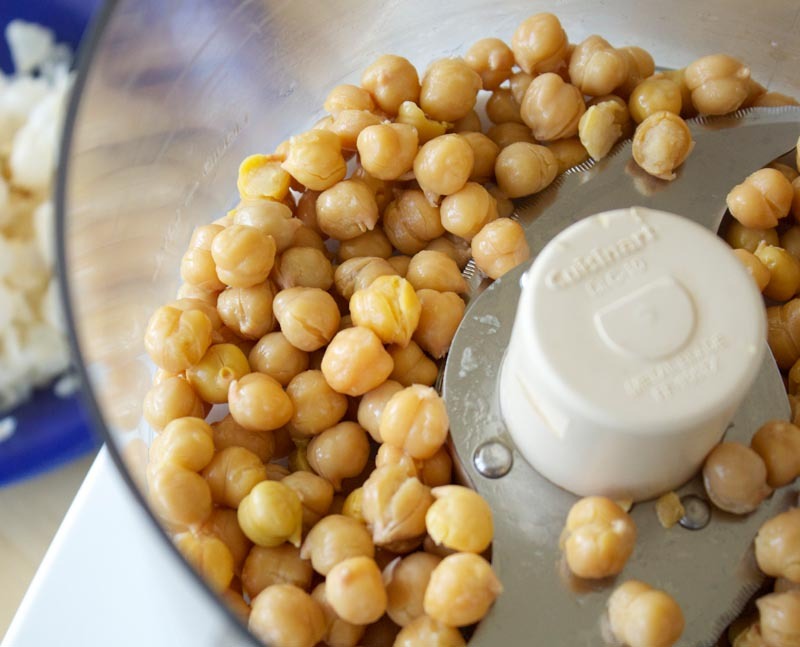 In a food processor, blend the chickpeas for a full minute, scraping down the sides of the bowl as needed. Add the tahini, lime juice, garlic, salt, and cilantro. Blend until the mixture is well pureed. Scrape down the sides of the bowl. With the machine running, slowly add in the water until smooth. At this point, you can determine the thickness of your hummus by how much water you add. Taste and adjust seasonings as needed. Note: The garlic tends to intensify the longer the hummus sits. If you find with an initial tasting that you want more garlic, use caution. It’s very easy to get too much.